To find out more about this and many other happenings at The Blue; click on the Events, Paint Night, and Workshop tabs above. Out of the Blue Debut is a working studio and gallery. Lydia Ellis owner, has been teaching and enjoying painting for 30 years. Her perspective on art in one with an emphasis on color and connecting with the heart of the viewer. 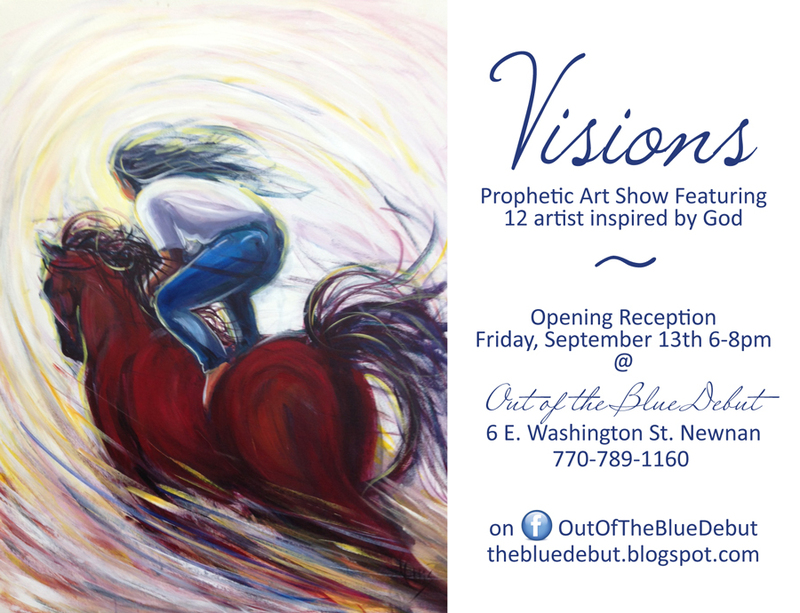 Although Lydia sells her own work and her husband Larry's photography; Out of the Blue Debut is also a resource for other artists works. Her background has it's emphasis and training in fine art from Georgia State University, with teaching experience at Clayton State College, Fayette Continuing Education, Artworks on the Square, CornerArts Gallery and her private studio. Her student's have achieved awards, scholarships, and have attained professional status with their work. It is Lydia's desire to build in her student's a fundamental foundation in composition, color theory and technique from a traditional fine art perspective. As a teaching studio one could expect to find classes offered in oil, acrylic, watercolor, pastel, and most drawing mediums. There are also day trips and retreats at various times of the month and throughout the year. We will also be offering various workshops given by guests artists. There will be a set weekly schedule for development and an events schedule which will be posted monthly here and on facebook.